Acne can wreak havoc with a complexion, turning smooth skin into a mess of bumps and redness. You can purchase a number of acne preparations over-the-counter, and there are also a few available by prescription to help to treat acne, but sometimes you want a more natural approach. One option for clearing your skin may be rose hip oil. Rose hip oil is cultivated from the rose bush. According to Dr. Leonard Perry, a professor from the University of Vermont, roses are grown now just for their beauty, but if you go back a few centuries, you will see they were also used for medicine. He questions that the "syrop of roses" mentioned in medical manuscripts actually cured heart problems, however, Dr. Perry agrees that they are a big source of vitamin C and that may contribute to their reputed healing powers. 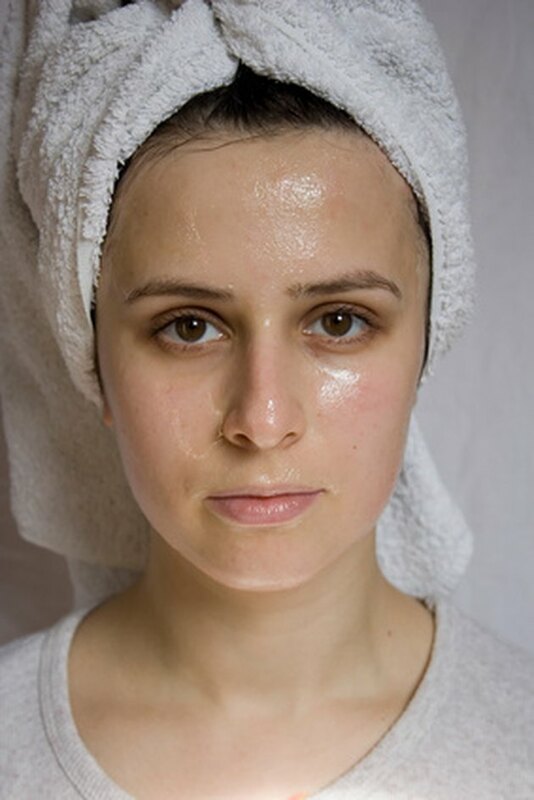 The Acne Specialist website touts the healing powers of rose hip oil in treating acne scars, specifically because of the high levels of essentially fatty acids in it. Linoleic and linolenic, also known as Omega 6 and Omega 3, are important nutrients for producing healthy skin, especially in the case of repairing the membranes. Regenerating the skin is one way of healing scars from acne. It appears that the value of rose hip oil in treating acne is to prevent and heal scarring, however, there is another possibility. A study at the University of British Columbia in Vancouver, Canada, noted the antimicrobial activity of extracts from rose hips. The study found this to be in even greater concentration in the extracts from the Rosa nutkana pericarp and Rosa woodsii seeds, making them an effective fighter against bacteria, which is one of the causes of acne. Rose hip oil is actually a vegetable oil, even though it contains retinol. This vitamin A acid is often used in moisturizers for its ability to delay skin aging, promote collagen and help cells to regenerate. In addition, rose hip oil also has trans retinoic acid, which the Acne Specialist website links to maintaining smooth skin. These properties, in addition to the essential fatty acids, may also reduce the size of pores. The site maintains that rose hip oil may be even more beneficial than evening primrose oil in fighting acne. While rose hip oil looks promising in the treatment of blemishes and acne scars, consult with your dermatologist on its benefit to your particular skin. Do not stop using prescription acne medication without discussing it with your doctor. Rose hip oil can make your skin more susceptible to sunburn, so do not apply it when heading outside unless you cover it with sunblock.